Bible study leaders regularly express frustration or amazement over their class or group failing to study outside the group time. Over the past few months, I have been collecting reasons for why some group members choose to ignore any encouragement to study beyond the group time. Here are the more common reasons shared so far. I don’t need to. This segment knows that the group time will be a repeat of what they would have studied prior to meeting. They compared it to the college class in which the professor reviewed the content assigned to be read the previous week. Just like in college, once we know we can get by without any extra effort, we will take the path that gives us time to do other things. I don’t think they want me to. This segment understands the unintentionally communicated expectation of their group leader: I do not expect you to do anything but show up at the group time. For some, the leader may not want the group to study outside the group time, making it easier on himself (they will not be ready to ask me any hard questions) or to stroke his ego (they need me to do the studying for them). I don’t have the tools to do so. This reason falls on the back of the group member, the leader, and the church. Tons of daily Bible reading plans are available to anyone seeking a plan. 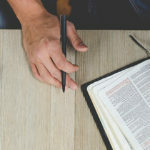 Not all of these help the group member process the content being studied by the group, but there really is no reason for a person not to have at least some type of daily plan for engaging with the Bible. The leader and church are responsible as well because of their failure to provide a resource that helps the members study outside the group time. “But they will not use it” does not excuse us from at least providing something. I don’t know how. Tools may be provided, but no one has shown this segment how to actually use them. As leaders, we assume the people in our group automatically know how to use the resources we place in their hands. Not so! Taking a couple of minutes to show (not just explain but actually show) them how to use the resource will go a long way. I just don’t want to. There are several kinds of people in this category. The rebellious or disobedient know the power of reading God’s Word and they really don’t want to change. Jonah would have counted himself in this group. Another segment of this group is the lost. We read messages from those we love and ignore messages from people we don’t know. The same is true here; they don’t know Christ so they ignore His messages to them. 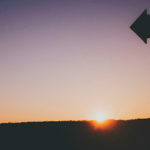 The reasons shared with me can be lumped into three categories: the expectations of the leader (or church), the way in which the leader teaches, and the short-sighted philosophy of group-time-only Bible study resources. Notice that much of the responsibility falls on our backs as the leaders. The people in our groups will rarely do something they are not led to do. What other reasons have you encountered? What actions are you taking as the leader to address the issues expressed in the reasons you encounter? Dwayne McCrary is a project team leader for ongoing adult Bible study resources at LifeWay, including the adult Explore the Bible resources. He also teaches an adult group and preschool group every Sunday in the church he attends, and serves as an adjunct at Midwestern Baptist Theological Seminary.